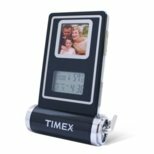 Timex TX5800 Digital Photo Frame [Timex TX5800 Digital Photo Frame] - $24.95 : NewDaVincis.com!, Great Innovative Products, Gadgets and more. 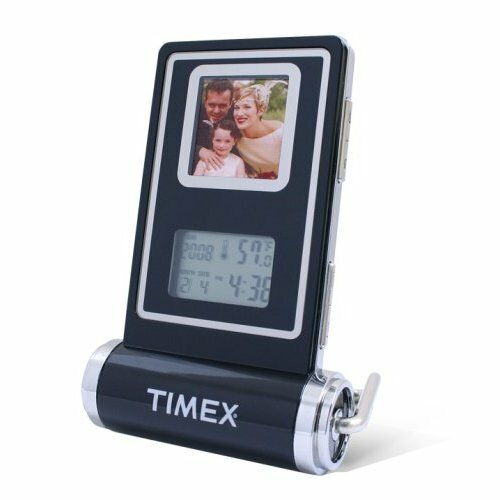 A wonderful accessory for both home and office and a terrific gift idea, the Timex TX5800 Electronic Digital Photo Frame combines a small color digital display with a digital indoor thermometer, calendar, and alarm clock with snooze and INDIGLO back-light. Unit size: 4.21" x 3.07" x 1.06"